Not much is known about how harmless they are yet. E-Cigs sometimes give off a strong odor, which may inconvenience other customers. 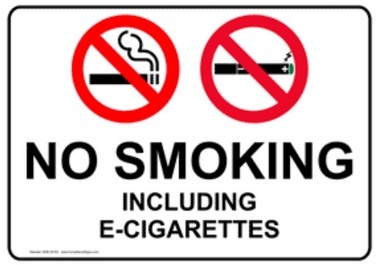 For these reasons, we ask that you refrain from smoking e-cigarettes or anything of the like IN THE MOVIE THEATRE. Sorry for the inconvenience.